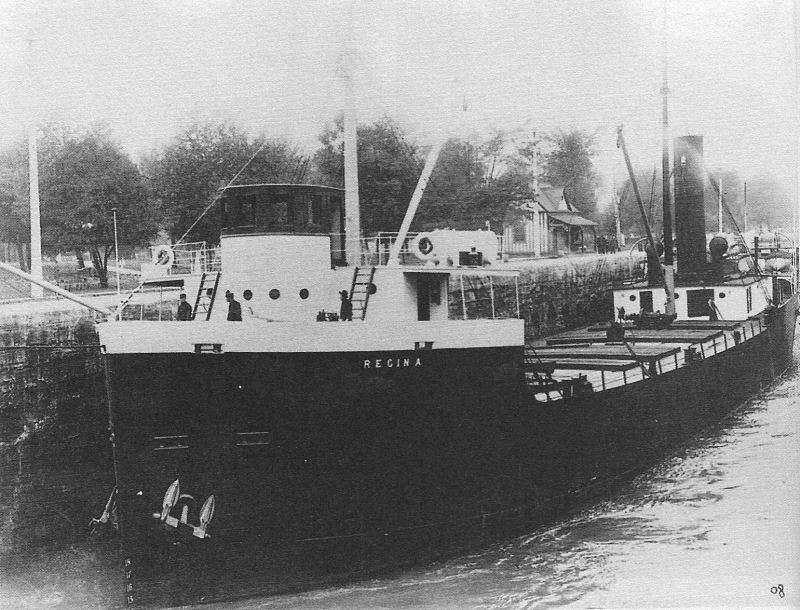 Built in 1907 as a proud product of the Dumbarton, Scotland Shipbuilding Industry, the Regina, named after the city Regina in Saskatchewan was homeported in Montreal, Quebec. She was a steel canaler, just over 295 feet in length and just under 2000 gross tons. She served proudly on the Great Lakes until the night of the great storm of November 1913. That day, she had set sail from Port Edward, Ontario with a top heavy load of steel. When the storm hit, the Regina was at anchor with the power shut down 7 miles east of Lexington, Michigan. That night, the Regina succumbed to the depths, taking her entire crew with her. The Regina lay at the bottom undiscovered until she was rediscovered in 1986 by a dive team. Since then, she has been a popular wreck site as she lays largely intact upside down at a depth of just under 80 feet. She is an amazing wreck for intermediate divers to explore. We visit the Regina from Port Sanilac.